Are you torn between hiring a pest control company or trying to deal with insects by yourself? If you're struggling with a real infestation on your property, it's probably a job for a professional. Here's why homeowners often encounter trouble when they try to manage pest control on their own. How serious is the termite infestation? How many rat nests are hiding in your crawlspace? Where are the bed bugs hiding throughout your house? When homeowners try DIY pest solutions, they tend to focus on problems they can see. But real infestations don't advertise; the worst problems tend to be hidden underground or inside your walls. That's why experienced professionals like Inspect-All Services use sensors and infrared detectors to determine the full extent of the problem. For casual pest maintenance, many homeowners have no problem going to a store and buying a pesticide. However, buying pest control products for a specific problem is a different story. If invasive pests are plaguing your property, the job is best handled by a professional who has the right tools and knowledge. Professionals are trained for a reason. Effective chemicals and techniques often vary according to pest threat and even insect species. Knowing which chemicals to use and how they should be applied involves more than a quick Google search. There's a thriving market for DIY pest control products, and the goal is often to make money rather than provide real solutions. You may hear product claims that promise to solve all your pest problems. But if an expert isn't involved, you don't really know what you're buying. The average homeowner doesn't have the training or expertise to tell the difference between marketing hype and fact when buying pesticides. Spending money on a professional pest control company is smarter. Some pesticides can do a lot of damage to your yard, pets and even family or friends if they are misused. The most caustic sprays can even damage paint and other surface materials. 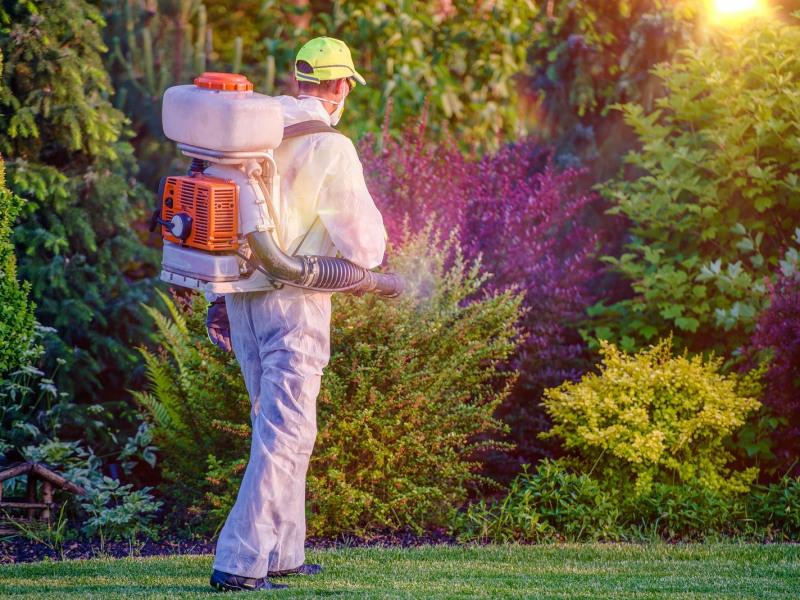 Avoid the possibility of ruining your garden or making your pet sick by finding a professional who knows how to use pesticides in a safe and effective manner. Deterrents and pesticides alone rarely fix a problem. Mosquitoes often come back if you have a standing water problem, just as termites will continue to be attracted to moist, rotten wood. Often, the environmental issue is the real problem, and it requires a professional to locate all underlying causes of your pest problem.